Mentorship means paying it forward by recognizing and nurturing the potential in another professional. This is particularly meaningful for women who have so much to gain from a mentor’s guidance on how to successfully lead in a male-dominated industry. The WIN Mentorship Program is designed to offer our young women opportunities that encourage them to continue to pursue a career in commercial real estate and assist them in fulfilling their professional goals. 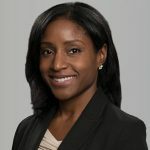 The mentorship program is led by Erinne Brown, Talent & Inclusion Manager, and strives to deliver value to our Cushman & Wakefield members at each stage of their career. A key benefit of the mentorship program that Erinne promotes is how the mentorship is assisting WIN members to connect in a meaningful way to promote dialog between corporate real estate (CRE) professionals. Erinne shares, “It is really exciting for me to hear from mentees who have expressed how impactful it has been to build relationships with high-performing, reputable leaders in commercial real estate. These leaders have expanded mentees’ thinking, encouraged their growth, and given them access to new networks”. As experienced mentors, the main objective is to foster a culture of high performance by training and mentoring tomorrow’s CRE leaders. With a mentoring program, the leaders of today can assist female mentees with industry knowledge and professional guidance that will encourage them to continue to grow and excel in their real estate careers. Emphasis on leadership and mentoring of young women employees in real estate is a way that senior employees can help drive performance and invest in their talent. Driven by a strong desire to climb the corporate ladder and maximize the professional opportunities available to succeed, mentees obtain the most out of the mentorship program by learning first-hand about the mentor’s professional experiences and how it can play an indirect role in helping them build leadership skills and confidence. A major key output of the WIN Mentorship Program is the knowledge exchange between mentor and mentee. For example, sharing insights of CRE best practices, how to navigate the corporate culture, and identifying actionable career paths. or informal sponsors in their career. The value exchange in a mentor relationship can be heavily weighted toward the mentee, however, a mentee can reciprocate and help elevate a mentor’s leadership brand and thought leadership output. For example, mentees can leverage their digital expertise to tweet posts, nominate for an industry/professional development award, extend invitations to networking events, or start a social media discussion that positions them as an expert or refer business their way. Passing along a useful resource, referring a potential client, putting someone’s name forward for a role that will elevate their visibility, or even connecting them to someone else who could be a great mentor – women who go out of their way to support other women set off a ripple effect that leaves everyone better off. Access to a mentor/mentee relationship allows for influence upward in the organization and helps navigate workplace politics. It can be invaluable to a woman’s career advancement and professional success. As Talent & Inclusion Manager, Erinne works on strategies to support Cushman & Wakefield’s diversity and inclusion goals, manages global employee engagement surveys, and implements programs designed to make our company a great place to work. All of the work she does contributes to our overall talent strategy of engaging and retaining the best talent in the industry.